Week of Mamás Blogueras has turned out to be much more enriching and inspiring than we ever imagined. We count ourselves lucky to have grouped such an amazing and talented group of blogueras. Today’s post by Mónica is no exception. She´s done a great job introducing herself, so I’ll let you read it from her own words. I do want to add that the Latin Baby Book Club was one of the first blogs we found while doing our research on sites targeting bilingual children. It´s still on the top of our list for a great read and special finds. First, I’d like to thank Roxana and Ana for inviting me to write this week. SpanglishBaby has been a great resource for me and I appreciate the opportunity to contribute. For those of you who do not know me, my name is Monica Olivera Hazelton and I am the owner of Latin Baby, an on-line boutique for Spanish-speaking American families. I also created and manage two blogs, Mi Cielito Lindo and the Latin Baby Book Club, both of which are a result of running the boutique. On my mother’s side, I am a third generation Mexican American. On my father’s side, I am a first generation Spanish American. I grew up attending private, English-only schools, but managed to hang on to my cultural identity through the efforts of my family. We lived with my great-grandmother who spoke only Spanish and with whom I was very close. In addition, my grandmother was extremely active in the community, helping to organize cultural events such as fiestas for Cinco de Mayo, posadas, and more. My mami worked hard to instill pride for my culture and the language. And though my parents divorced when I was very small, I spent several summers in Spain visiting my father and his very large family. However, my entire education and subsequent career were predominantly English-only environments. I married a non-Latino who doesn’t speak a lick of Spanish and had my first child four years later. Shortly after her birth I began looking for baby apparel that reflected our Latino heritage, and in 2005 I started Latin Baby when I couldn’t find any. While I am constantly looking for ways to pass on my Latino heritage to my children, teaching them Spanish is a tremendous struggle for me. Though I understand it perfectly, I rarely have the opportunity to speak it and often forget verb tenses which makes me terribly self-conscious. It is hard for me to remember to use Spanish with the kids but am trying my best and hope that my occasionally incorrect verbs don’t mess things up for them! We’ll be homeschooling our daughter next year, so I finally decided the best way for me to teach them Spanish will be with a formal Spanish course because I can integrate it into our curriculum. I’m investigating Spanish programs now, and welcome any suggestions. However, one method I am happily using to pass on our culture and the language has been to incorporate bilingual and bicultural children’s literature into our routine. I prefer books with embedded Spanish text, but am careful to include those with full text in Spanish, because I feel that even if the kids don’t understand it all, hearing the rhythm and inflection is important for their future comprehension. I started the Latin Baby Book Club as a resource for parents trying to raise bilingual children. The goal has been to review/recommend books and music that help children to learn the language or to develop an appreciation for Latino cultural traditions. Both my kids absorb these books like a sponge. 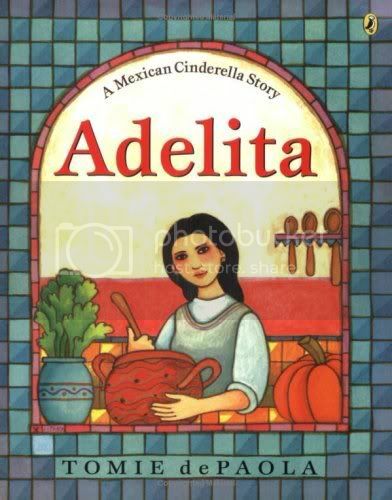 I do think my daughter finds it easier to relate to stories about little girls who look like her (ie., Adelita, and Trencitas of Jerry Tello’s Abuelo y Los Tres Osos) than to those centered around the blonde princesses of traditional Anglo folktales (though she likes most of these, too.) But I want her to grow up with a healthy self-image and proud to be a Latina. Many of the books describe cultural traditions that I was able to experience as a child (ie., Una, Dos, Tres, Posada!, and The Best Mariachi in the World) but that my kids can’t – at least not at the moment, and probably never to the same extent that I did. I use these stories to talk more in depth with my kids about the traditions and ask them questions about how they would celebrate certain holidays or how they would end the story. Oftentimes, I use the books as an opportunity to describe my own childhood experiences to them, which they love to hear about and I can just see their imaginations taking flight. 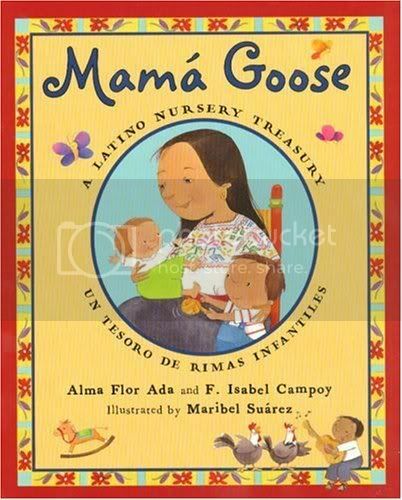 One of my favorites, Mamá Goose, is great for teaching them some of the nursery rhymes I learned as a child, which in turn leads to stories of my own childhood and my relationship with my abuelita and nanita. 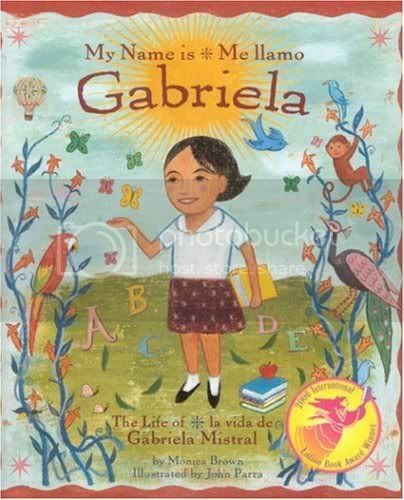 I am also especially fond of biographies, such as Diego and Me llamo Gabriela. These books are a way for me to introduce Latino historical figures that they probably wouldn’t learn about through regular education channels. When it’s possible, I try to add art/craft projects that are related in some way to these figures for reinforcement. I’m a little limited still by my kids’ ages, but I think it will be easier to do as they get older. Abecedarios also play an important role as teaching tools. 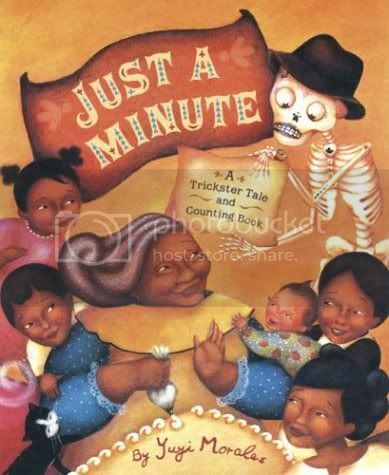 I have successfully used books like F is for Fiesta to teach the alphabet and Just A Minute! or Marcos Counts to teach numbers to both of my kids. There are a ton of books out there with fantastic stories centered around el alfabeto or números, you just have to choose the ones your children will like best! I can’t stress enough how incorporating bilingual and bicultural children’s literature in your child’s life can positively enhance their learning experience. Not only does it help them learn the language, but the storylines also help them to develop tolerance, appreciation and even affection for cultural mores and traditions that may reflect their own heritage and that of others. The inner strength and confidence that children develop as a result are some of the most precious gifts their parents can impart. We have a talented and diverse group of contributing bloggers at the LBBC and we hope you will join us. Tomorrow’s final Mamás Blogueras post is by Carrie Weir from Bilingual in the Boonies. She lets us in her daily joy of filling her Tennessee-born daughter’s head and heart with español. Is Language Enough When Raising Bicultural Kids? Spanish not your native language? You can still raise bilingual kids! This looks really great. But as it’s 4 am I just skimmed it and will return later. I love that you have all these bilingual books. I am always looking out for them. I remember last fall when Carrie of Los Pollitos Dicen (tomorrow’s bloguera!) told me abut Monica of Latin Baby Book Club. She was doing a Holiday promotion and welcomed me as a participant! I really enjoyed learning more about you, your challenges and victories, and the culture-rich lives your children are enjoying because of your commitment to raising bilingual children. Hats off to you amiga! Thank you for reminding me of the importance of bilingual and bicultural literature! I must admit that our home library has very few Spanish books. And some of the Spanish books in our collection don’t have the best translations. Since my kids can’t read yet I often just translate books on the spot. But I know that I won’t be able to continue to be that sneaky for too much longer. I am always looking out for good Spanish books. I’ve already requested Mamá Goose, Marcos Counts and El Mejor Mariachi del Mundo at our local library. I look forward to checking them out when they arrive! SpanglishBaby, thanks for introducing this great bloguera. Monica, as always I love your book selections. They are beautiful, culture rich stories that capture the language and heritage amazingly. I absolutely LOVE Me llamo Gabriela! It is one of my daughter’s faves. Thanks for your tips and smart recommendations! A really excellent resource is the series “Piñata” and “Más Piñata” by the Publisher Pearson. The books actually come in sets of six because they are technically guided reading books for teachers, but a publisher rep can put together a set of one copy of each of the titles. The books are originally written in Spanish by a Mexican American author Dr. Flores from California, and all themes are based on the Latina/o culture. I highly recommend the books if you are looking for some formal language arts for home schooling. Have you checked out LEE & LOW BOOKS? We have a lot of books available in both English and Spanish versions, many with Latino characters and many others with Asian American, black, and Native American characters (bilingual kids need diversity in their books, too!). We also have several books of poetry with English and Spanish versions of the same poems next to each other on the page, like Poems to Dream Together/Poemas para soñar juntos. I hope you take a look at our books! EXCELLENT post!! My next present for a 2 year old bilingual girl will be one of these books and at the same time one for my boy, thanks!!! Miriam, you have many books that I either have or covet. I really need to get on Lee & Low’s mailing list somehow to learn about new titles being released. Unapologetic, thanks for the tip! I will definitely look into Pearson. Glenda, my home library was seriously Spanish “challenged” when I started the book club. Remember, you can try buying English text books with Spanish words embedded. You may find this a little easier for transitioning your kids. 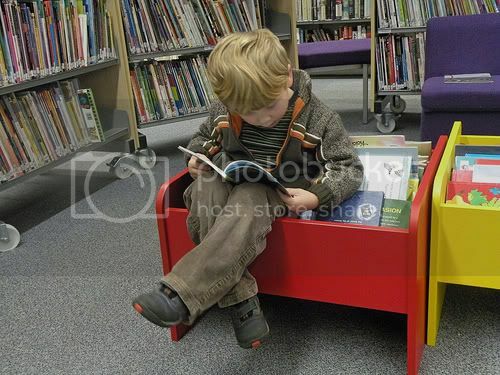 what does the research say about reading to your children in spanish if you aren’t speaking to them in spanish? my wife is concerned that this will only cause confusion for our son. any references you can point me to would be very helpful. thank you. I’m glad you already know and like/love some of our books! The easiest way to get on our mailing list is to fill out the form at http://www.leeandlow.com/p/catalog.mhtml . If you just want our e-newsletter, leave the box marked “Send me your monthly e-announcement with news and offers” checked. If you also want catalogs, check those boxes and we’ll send you them. It’s the first time when i’ve seen your site. I can see lots of hard work has gone in to it. It’s actually great.